Lovin this site! 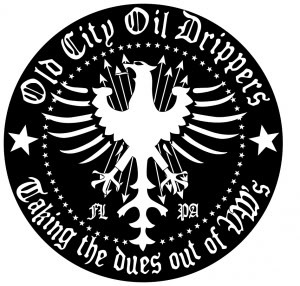 Brian, i hope to see some OCOD Dubz from Fl @ Dripfest..
Cruzan 71 wrote: Lovin this site! Brian, i hope to see some OCOD Dubz from Fl @ Dripfest.. Welcome to the site!! glad you like it now go and tell your freinds about it!!!! yeah, dave has a good thing goin' with this site! and yes, i hope to see some Florida OCOD at Dripfest too!!! For May's OCOD GTG we've got something pretty cool planned....as usual we'll be gathering around 10am-ish at Valley Forge Park Visitor/Welcome Center Lower Parking Lot then a cruise to Iron Hill in Phoenixville for lunch and fine brew! We will be meeting at the Lowe's for a casual cruise to the Drive In! Bring the family!! !